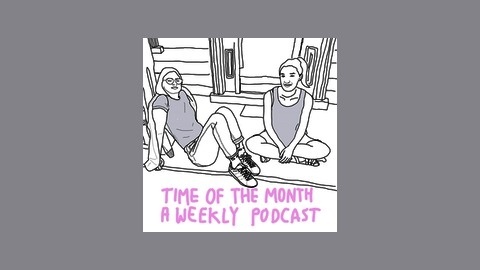 Time of The Month (A Weekly Podcast) is hosted by bloody good mates from New Zealand; Maddy Budd and Kelly Pochyba. The girls spend half an hour a week dissecting life's big issues such as failing driving tests and getting so drunk after you fail a driving test, you accidentally get a tattoo. 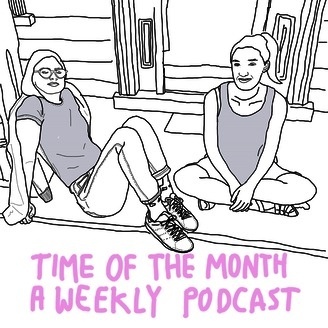 Maddy and Kelly are ready to solve the issues of everyday early 20-somethings who are trying to balance work/study/getting on the piss/ relationships. Maddy is 23, a model, blogger and bona fide kiwi internet celeb with over 7,000 followers on her Instagram. Maddy works full time for a fashion label and is trying to save money so she can travel the world. Kelly Pochyba is 21 and a first generation kiwi from Slovakia. She doesn’t model or blog but she does manage content and marketing for an upmarket fashion store. When she's not composing weekly mail outs or stickering stock, she's illustrating. Kelly has a degree in Graphic design and is just okay at pub quizzes. Ep018 - Job Interview: What's Your Favourite Pie?